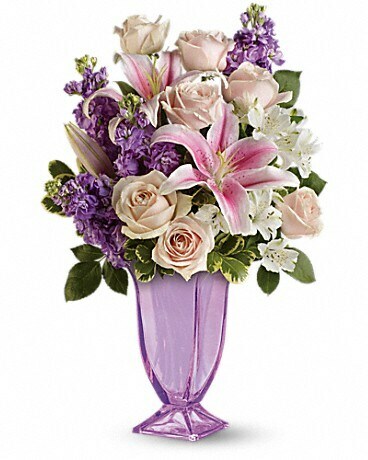 Since Mother's Day comes only once a year, it means a lot to Mom when you send a gift that's a little extra special. 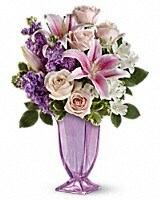 This is it - pink roses and fragrant pink lilies in an exquisite handmade purple glass pedestal vase. 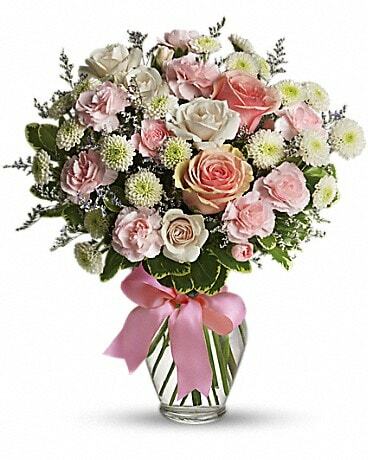 She'll be deeply touched. 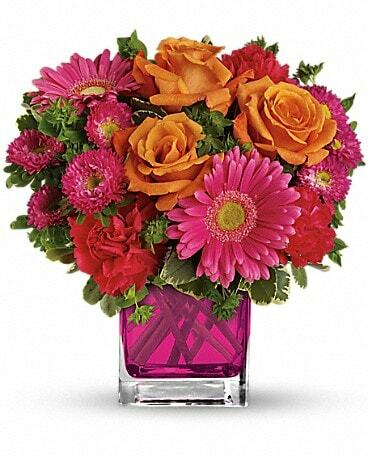 Sure, she's your Mom, and would be happy with any flowers you sent her. 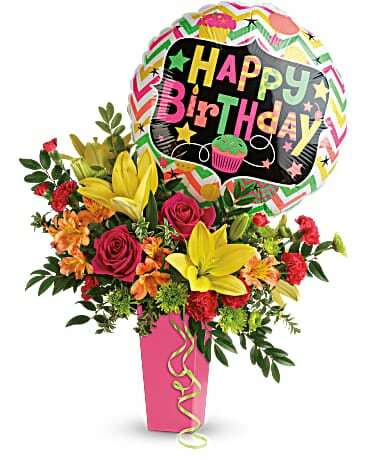 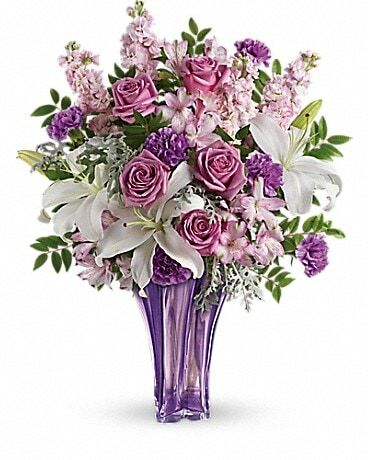 But because she's your Mom, go all out and send her this gorgeous bouquet of roses and lilies in an elegant handmade purple glass vase. 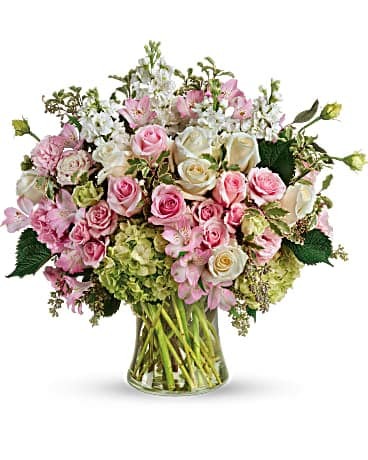 She'll be speechless. 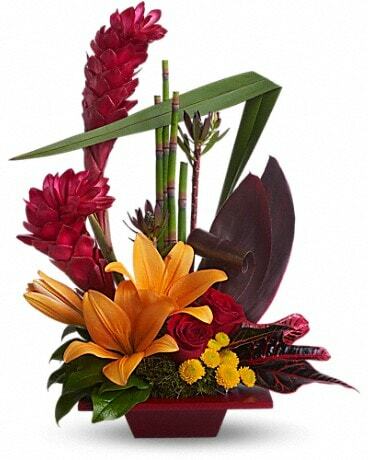 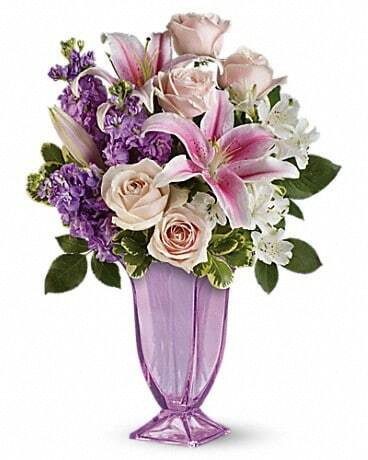 This exquisite handmade purple glass pedestal vase is from Teleflora's exclusive Flowers-in-a-Gift collection. 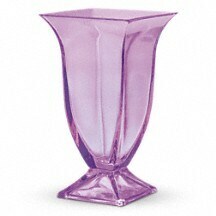 Mom will treasure it and keep it filled with fresh flowers throughout the year.